Why a career “path”? As there are several steps to take to move into a web management role, don’t worry, with dedication it’s not difficult. I’m getting more and more emails every day, please note that I read them all but due to the sheer volume, I won’t respond to all. In particular, I’m getting more questions about “how does one become a web strategist, or a web director”. Mary noticed that I started my career in web as a UI designer, much like her current role. She has ambitions to climb into the director’s chair and make calls for the direction of the website. She emailed me the following and gave me permission to blog it, I’m not going to reveal her last name, but she’s welcome to self identify. “…I would encompass my questions along a career path. I saw in your career path you started as a designer, I worked as a designer also and then evolved into what was needed as opposed to having a web strategist focus. I sincerely enjoy meeting with clients and analyzing there needs and assessing the best path to achieve those goals. Currently, however the company I am with I am in resource management and needless to say I am not being challenged. The current structure of the company would not yield itself to my specific career goals. I still do freelance on the side, design, branding and consulting; I do it because I enjoy it so much. What would you suggest. How do I move forward, how do I position myself. I sincerely appreciate your help and expertise. Here’s a few suggestions that I have, then I’m going to turn it over to the community to help answer. In 1999-2000 I started by doing what I was good at (well for the time, don’t ask me to return to these skills) and completed many web UI design projects at work. I read up by getting books on the topic and developed a thirst for more knowledge, I started attending events and reading whatever I could get my hands on. I did a few freelance projects with other companies to build out my resume. Eventually, I changed jobs and was able to move into more of a content organization role at World Savings. I was really fortunate to have a great manager Kevin who introduced me to Information Architecture and User Experience Design. Eventually I applied some of those skills and did some larger products…slowly evolving into larger projects to programs. As I moved on to the next role, the need for “Web Managers” in Silicon Valley grew, nearly every company had several websites to manage (external, internal, and customer) and the skills needed became more focused. I finally moved into a web management role, and was then running multiple projects, which now equate a program. A web strategist is really a program director, someone responsible for a series of projects around a business objective. Blogging became a big part of my daily activity, and I started to write about what I was learning and doing, eventually it was a trigger enough to become a major reason why I was hired at last company, yeah, that’s right, I blogged myself into my next job, and I’m not the first, nor the last. You can ever read the first comment from my former CEO confirming it. Blogging is a way to demonstrate to the marketplace of your interests and passions are, and it’s easily findable by recruiters or others. To some extend this was a factor that made my future employer understand my area of interest, it continues on. I’ll take a picture sometime of my web reading libary, I have nearly 100 books on a variety of web topics, I’ve also subscribed to magazines, and printed out white papers and other types of research docs. There’s a constant influx of content coming in. If I could look back, it would be interesting to see how the content changed as I moved into a management role, at first, it was a lot of photoshop hacks, and now, I’m looking at industry trends and market data. For the last few years, I attended as many web related events as I could, I would often live blog the sessions, which was part of the learning process. Over time, my personal network grew and things really started to happen. If you’re in an area where there’s not a lot of events, attend online webinars, or use social media to connect. So for Mary, to summarize a path, it’s to take on smaller projects, show and demonstrate success, and then take on larger projects as your role progresses. Continue to learn, and absorb everything you can, be open to feedback, and follow your passions, one thing leads to another. As a designer, you may want to expand out and start to do some user experience research projects. Then try doing some business requirements documents, then meld those together into a website architecture document and lay out a plan. Only then can you apply your mastery in design. Learn to measure the changes of your website, and use that to calculate the success or failure of the project and continue. Over time these series of projects will turn into a program and you can move into full time web management. A Web Strategist can appear in many places, in Marketing, IT, a Product team, a PR firm, in a consultancy or at an analyst firm. Anyone who makes long term decisions for a website, and meets these three spheres of community, business, and technology is in that role. The title may also differ, depending on the organization, so don’t worry about that as much. The conversation continues in the Web Strategy Group, where there are a few others that have explained their path. So if you have something to add, consider sharing it here, and maybe also in the group. There was a unique intersection of Social Media and Digital Film creators at Vancouver’s Digital Film conference called VidFest. I was one of the panelists discussion online identity, where the worlds of Facebook, Online Video and Second Life mixed and mashed, it was great fun, Megan Cole (who takes meaningful photos) did a fantastic job moderating. I really found the debate panel on the Web 2.0 Democracy or Mob Mentality, Andrew Keen the author of Cult of the Amateur made some very valid points, despite his pessimistic attitude. Thanks to Kelly Verchere for all her organization, and Lynda Brown for putting it all together. There was an unique intersection between the film industry present, and another crew from the social media side, like myself and Bill Claxton (great writeup) from Singapore. There will be a merger between how films are created and then distributed using social media tools like Blip, YouTube then on top of ‘carrier’ websites like social networking sites and blogs. The movie theater or TV is no longer the only ways to consume content. I was really impressed by the movie showings of Infest Wisely, a film created by multiple directors around the topic of Nano Technology and then Sanctuary, a kind of Buffy meets Vampire hunters, these are films created using digital tools, and released for the web only. If you’re a sci-fi fan, like me, it’s worth checking out. This is another special Silicon Valley Sightings Asia Edition, view the archives. 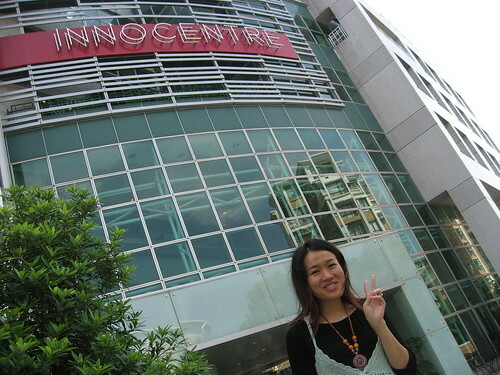 I had the absolute pleasure to take a tour of Hong Kong’s InnoCentre (on the Kowloon side) from Amanda Lau, head of Marketing of JiJiJa. This is just days after my tour of Cyberport on Hong Kong Island. 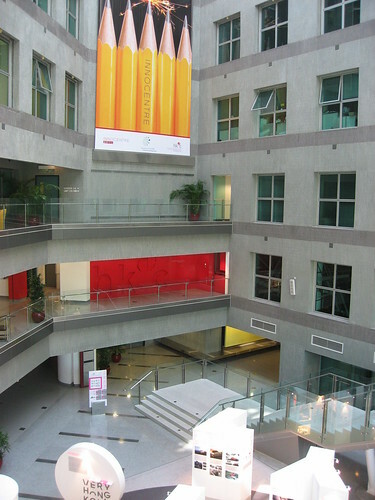 InnoCentre is a government sponsored incubator that promotes emerging companies by providing office space, business amenities like meeting rooms, copier rooms, and even funding –without taking any equity. There’s few VCs in Silicon Valley that can boast that type of model. 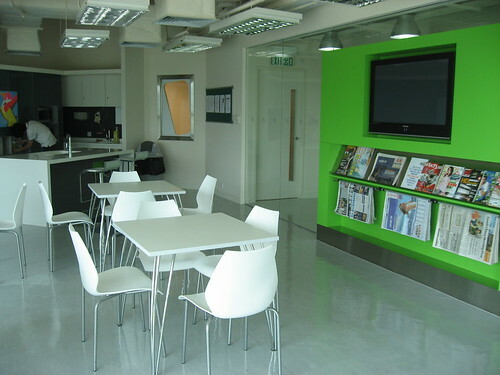 For startups, even the little things matter, from impressing clients in a real meeting room (rather than meeting at starbucks) or having a real work space, as you know there are few garages in China, so the garage startup is virtually non-existent. 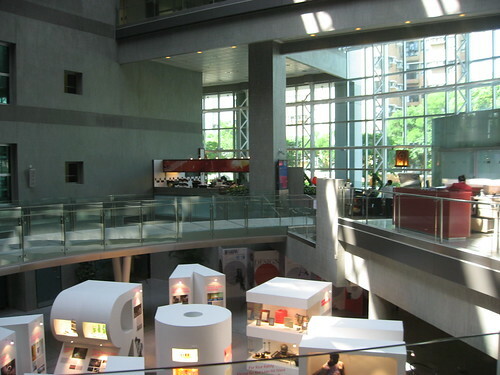 There were several floors to this amazing building, which also housed product design companies (University of HK was just a few steps away) and had gallery areas to show off new products. For companies that met their three year goals in the program, they were elligable for funding, to launch their company further. As I understand it, a company has to apply to get this special kind of grant, and a few of the companies I met were happy to be there. While there are some startup incubators around (I think Francine Hardaway would know) in the United States, I’ve never heard of a government sponsored one with so many benefits. I met with Amanda, who showed me her product Jijija (Which means chatter in Chinese). They help ecommerce and social networks or even media websites become more efficient by providing behavioral based recommendations. This is a viable model as gestures (unspoken actions) can often be more powerful than what users say they will do. Don’t be fooled by their Chinese website, they plan to head globally, although I have the master list of others in their space. I also checked out ReSpread an do it yourself email marketing tool that has interesting CRM features, for the email marketer, this is an interesting asset for the small and medium sized company. I spent times with the founders of another company, who wished to remain stealth, they provided me with amazing insight about the Chinese web culture as it applies to the web, you’re seeing that output in other posts.